I'm so excited to be collabing with the beautiful Jade from a Spoonful of Style! 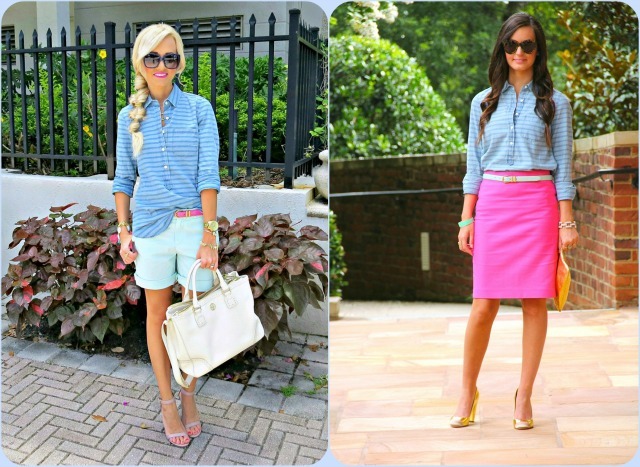 Today we wanted to show you 2 different ways to style striped chambray. 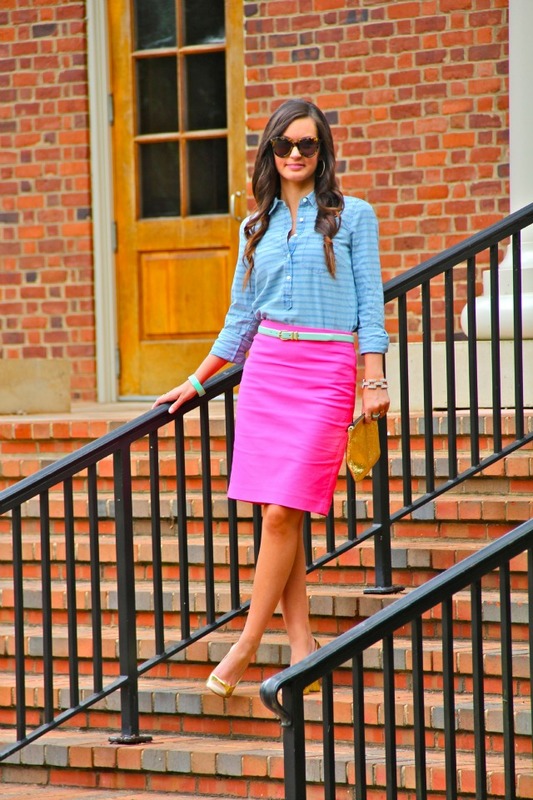 I seriously can't get enough of this trend lately and love mixing chambray with bright colors! Great post! Love both of these looks! I love chambray, I have not seen a striped chambray top before. I think I NEED one! Super cute. I too have a J.Crew addiction. And I love that you partnered up with Jade-- she has great style! you can never have too much J.Crew! Lovely megs! I really like both of these looks. JCrew is so popular but I still love it so much. Great styling ladies! You are both super gorgeous! So glad I came across your blog! Love this trend and adore the way both looks came out. You both are precious! I love that shirt from JCrew... I like that it is a chambray shirt with a twist. Speaking of twists, I like the twist you two put on styling this shirt. You both styled it perfectly for different occasions.